Whilst at work, I was watching the music video for White Zombie’s More Human than Human. When I was a little girl, I used to hear and watch this video all the time. That is the band that caught my attention with bass. Especially, since a female was on the bass guitar. 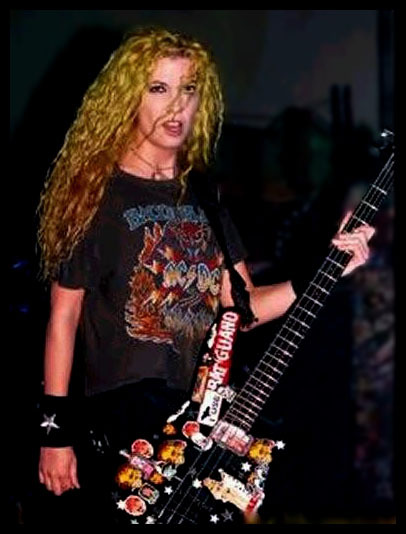 Me being the little curly haired blonde that I was would secretly pretend I was Sean Yseult. Yep. Thanks to Sean I was inspired to up the bass. Although it wasn’t easy. I first tried out drums. But drums didn’t feel “me” at all. I felt off. It wasn’t my place nor in my heart. In the school band I was a clarinetist, but at home I would start practicing bass material on this cheapo off-brand bass guitar that was picked up at a fire station garage sale. 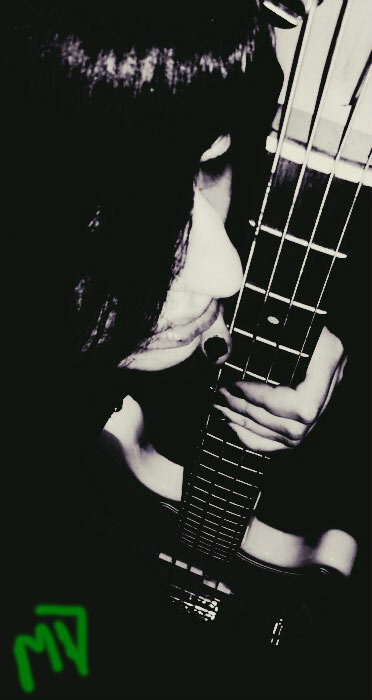 I’ve always been attracted to the sound of the bass. Whether it’s in a Groovy metal tone such as White Zombie, Heavy Doom like in Type O, and my favorite DISTORTION! For some reason, the sound of the bass felt in my heart. I could relate, pour my heart out and just play for hours. 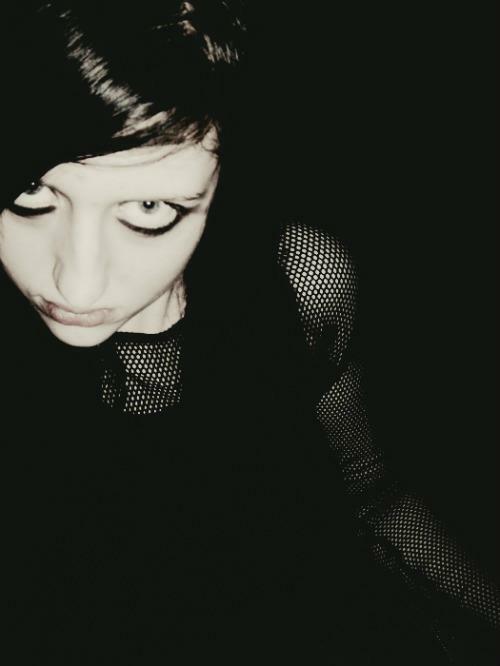 Old Picture of good ol’ Me. Back to my tale, I would always sing songs that had a sort of story. All coming from my imagination. As a young adult, I see that I am still that person. Music is my calling and will never leave me. Being a vocalist and bass player means a lot to me. It’s where I know everything is okay. It’s where I know my imagination is still alive within me. Creativity never dies. I am proud to be of the imaginative kind. So many people grow up to become the stereotype that you must let dreams die and sacrifice your well being for it all. That my friends, isn’t the case. What is the point of living life a lie when you could be living the life you’ve always wanted and enjoy it? Have a dreadful Thursday mourning. Due to my lack of ability to sleep, I seem to get in these weird deep thinking remembering modes once in a while. I remember when I was a little girl, I would tell my dad stories while we were going places in his truck. One of the family favorites that they seem to love to pick on me about is the tale of Pizza on my Pick. The tale was about a man who one day decided to sit on a random log. He was sad all because he had pizza on his pick and he didn’t know what to do. His friend the frog hopped away and he was worried about him. He couldn’t get to the stream because it was to far away on foot and he didn’t have a boat-car. (Yeah that’s right, a boat-car.) He cried and cried and tried to play his guitar but he couldn’t because of the pizza on his pick. I was a very strange child. I would sing and sing and sing in my grandma’s kitchen about the “Moon and the stars and the Skelskins!” I remember watching Beetlejuice when I was younger and it has been my favorite film ever since. It’s always odd my creeps to have situations in your life that make you end up saying “Did that really happen?” I thought I would share a traumatizing event with you creepers of the web. Back when I was a sophomore in high school, my good friend and I went on a road trip out of town and stayed at a Holiday Inn. As most teenage girls, we jumped around, caused a ruckus, and just flat out had a lot of fun. While we were trying to watch some television, we heard a noise from outside. It sounded like children running wild down the hallway. But, when we looked out the peep hole, it was a very overweight man in a tuxedo waddling around the halls. Slightly creeped out that this man was pacing outside our room, we went back to doing our random things of the night. A mouse like girl poked her head out of what I believe to this day was their room and started cheering on Mountain Dew. I returned to the room with the beverages and my friend was laughing like a complete maniac at my facial expression (similar to the one pictured above incase you have forgotten) and said that my pale complexion got paler (if that’s possible, I do not know). I have recovered from this event. Also, that was the night I was accused of sleeping next to a Twix Bar, two basketball players said I was the whitest white girl they’ve ever seen, and we scared the pizza man. Ah, memories. I’m off to rethink my life choices and put a paper bag over my face. Horrible wishes to you all from deep within my heart.